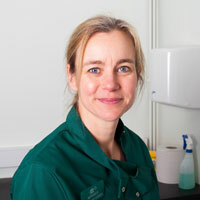 Monique began working as part of the veterinary surgeon team in 2011. She enjoys all parts of working in a small animal practice but especially surgery. Monique loves the outdoors and spends alot of her free time walking the lakes of Scotland with her 2 Border Terriers.